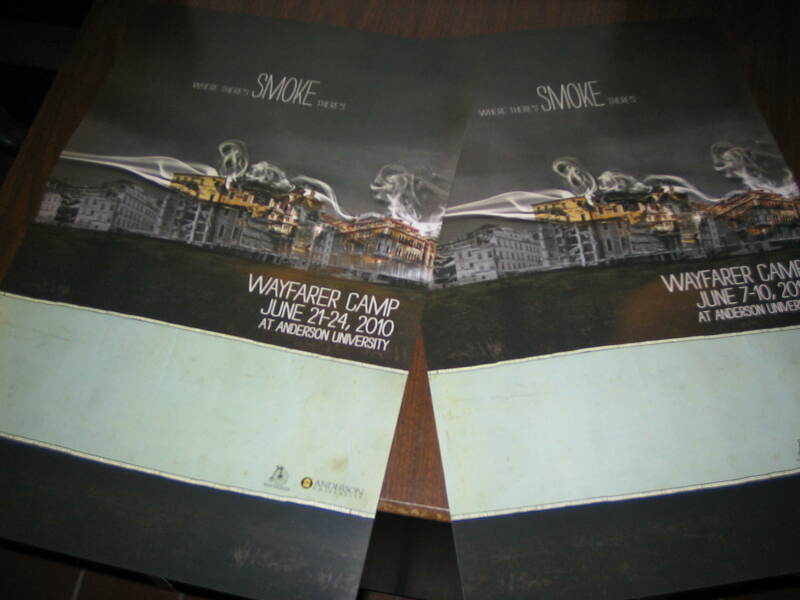 It’s now 2010 (in case you haven’t heard), and one of the things that means at Wayfarer is that Wayfarer Camp 2010 is on the way. We currently have abou 880 people registered for the two weeks of camp June 7-10 and June 20-24 at Anderson University, which is exciting. There’s still room to register for Wayfarer Camp, but not for long. Our first session of June 7-10 is all but full, so if you want to register for that week we need to hear from you ASAP! Also, if you’re coming to camp make sure you register and pay your deposit by the end of the month (Jan. 31) so that you can save $20 per person at camp. Call 877-929-2453 or visit www.wayfarercamp.com to register or get more info.